Unbelievable private setting on a cul-de-sac, in the heart of Dublin! 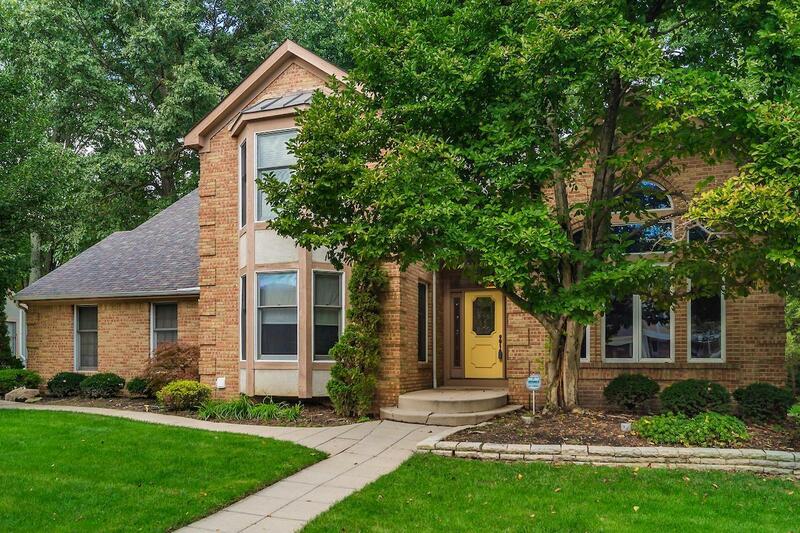 This home boasts vaulted ceilings and complete privacy. Throughout the home are huge windows with transoms for full view to the outdoors. The office has a fireplace and tinted film on the windows for additional privacy. The kitchen has hardwood floors and a bay window. The first floor owner suite has an updated bath with marble flooring and wall. Enjoy quiet time in the loft with built in bookcases. Two nice sized bedrooms have double closets. Finished lower level with a half bath and plenty of room for a pool table and rec space. 15 kw generator powers the entire house during an outage! Fantastic location within walking distance to Scottish Corners!